Constantly dealing with hair removal — that never-ending cycle of shaving or waxing — can be frustrating and can take way too much time. Fortunately, Humble Dermatology in Humble, Texas, has a better way. 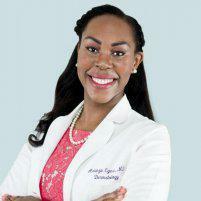 Board-certified dermatologist Adaeze Egesi, MD, offers laser hair removal that leaves you with smooth and beautiful skin for a very long time. Use online booking or call for an appointment today. Where on my body can I have laser hair removal? Regardless of where your unwanted hair is, talk to Humble Dermatology practitioner Dr. Egesi to find out whether laser hair removal is right for you. Dr. Egesi applies a topical anesthetic for your comfort and then treats each follicle individually using a laser hair removal machine. You may feel a slight snapping or some warmth, but it's typically a comfortable process. The machine’s laser energy transforms into heat as it enters your hair follicles. The heat then causes controlled damage to the follicle, rendering it unable to grow new hair. Every case is different, but most patients need a series of between 2-6 laser hair removal sessions. 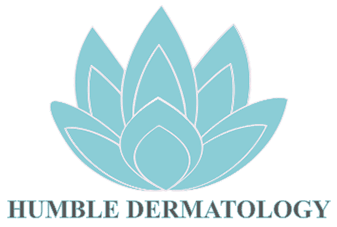 Your laser hair removal treatments at Humble Dermatology are usually at least a month apart. This allows enough time for your treated hair follicles to shed, and for your next active growth cycle to start. It depends on the situation, but most patients experience a major reduction in hair growth for months or even years. Although the hair can eventually grow back, regrowth is usually much lighter in color and texture. You may need maintenance treatments at an interval recommended by Dr. Egesi to stay hair-free. What should I do before my laser hair removal appointment? Although you can't use other hair removal methods in the weeks before your laser hair removal, shaving is typically fine because it doesn't alter the follicle. Shaving just before your laser hair removal also reduces the chance of surface skin burns from hair damage. Ready to rid yourself of hair? Book your laser hair removal appointment at Humble Dermatology online or by phone now.